About 1500 protesters, some of them Dutch, demonstrated this afternoon in Aachen [in Germany] against the French president Macron and the Doel and Tihange nuclear power stations in Belgium. The protest was against the French support for the nuclear power plants. The Doel and Tihange power plants, both close to the Dutch border, are owned by the French state for more than 25%. Especially the Tihange 2 and Doel 3 power stations regularly have problems with cracks and other problems. The campaigners called on the president to shut down the power stations for ever. President Macron was in Aachen to receive the Charlemagne prize. This annual award is for people and organizations that are committed to European unity. During the award ceremony, the protesters made noise and shouted slogans. French President Macron‘s claims of being pro-environment are contradicted by his plans for an environmentally destructive gold mine in the colony French Guiana. And that is just one point. On 10 May, French President Emmanuel Macron will receive the International Charlemagne Prize in Aachen. 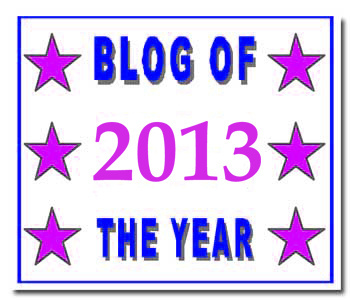 A previous recipient of this prize was war criminal Tony Blair from Britain. Like some of the recipients of Nobel Peace Prizes, Blair and Macron do not deserve any awards. The undeserving Nobel Peace Prize winners have acted directly against the principles which prize founder Alfred Nobel had established for the honour: helping to stop wars and abolish standing armies. Emperor Charlemagne did not found the prize named after him; that came much later. Contrary to Alfred Nobel, Charlemagne had no objections at all against wars and standing armies. They were his means of forcibly uniting big parts of western Europe into an empire. So, though Blair and Macron don’t deserve any prizes, at least in their cases the purpose of the prize is not explicitly violated. 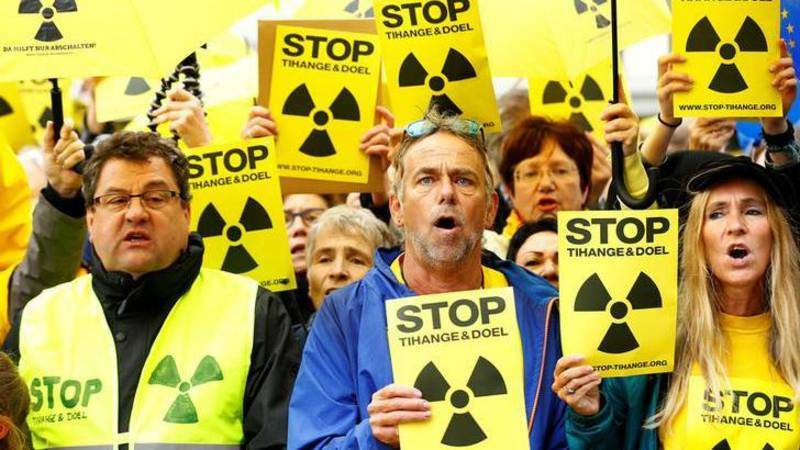 We want to use this opportunity to address the president on the nuclear threat to hundreds of thousands of inhabitants of the German-Belgian-Dutch border area: The desolate state of the Tihange 2 nuclear power stations just a few kilometers from the city of Aachen and Doel 3 near Antwerp. Recently, the former chairman of the Atomic Commission Dr. Greg Jaczko called these power plants “two of the most dangerous power plants in the world” because of the many cracks in the steel casing of the reactor pressure vessel. And according to international experts an immediate closure of these power stations is necessary. We doctors support these demands and we are obliged to point out the immense health risks for the people in the border area and in the Scheldt river region due to a possible meltdown or even an error in the system. The French state is one of the main shareholders of Engie whose wholly owned subsidiary Engie Electrabel manages the plants Tihange and Doel. We therefore sent an open letter to President Macron with the request to make a personal commitment to the elimination of worn out reactors. We hereby inform you about this letter with the request to include this in your news report. The French state is the largest shareholder of EDF and also directly of ENGIE, the operator of the two nuclear power plants. You are the only person in Europe who has the power and the ability to free the people of Central Europe from this danger. Please switch off the nuclear power stations Tihange 2 and Doel 3 as soon as possible! On 10 May 2018, when Macron will get the prize, people in Aachen will demonstrate against Macron’s nuclear policies at 10am. Mr. Burns might as well be running the EPA now. Cenk Uygur, host of The Young Turks, breaks it down. “Donald Trump’s appointment of former Oklahoma Attorney General Scott Pruitt as chief of the Environmental Protection Agency this year drew eyebrows, because Pruitt had made his career as a longstanding legal opponent of the EPA and a prominent climate change skeptic. Since he’s been put in charge of the agency, Pruitt has allegedly made plans to water down federal scientific research on the climate, deflected from the issue during natural disasters, and cut loose hundreds of employees in a deregulation push. Uranium firm lobbied Trump administration to scale back Bears Ears National Monument: here. United States Clinton Foundation’s Russian connection? Russian Collusion… With The Clinton Foundation? TYT Politics Reporter Jordan Chariton gives his thoughts on a story out of The Hill, which reveals potential collusion between the Obama administration and the Russian government, involving a nuclear deal. South Korea‘s first nuclear reactor is now off,… and off for good. The Kori-1’s retirement ceremony on Monday was attended by President Moon Jae-in himself. The president says he wants to make South Korea a nation that doesn’t need to rely on nuclear power for its energy needs. Hwang Hojun starts us off. PRESIDENT Moon Jae In scrapped plans for new nuclear power plants yesterday, signalling a shift in decades of South Korea’s reliance on nuclear energy. He said that the country would move away from nuclear energy and not seek to extend the life of existing plants. Mr Moon also vowed to cut South Korea’s reliance on coal, shutting 10 old coal-powered plants and not building any more. “So far South Korea’s energy policy pursued cheap prices and efficiency. Cheap production prices were considered the priority while the public’s life and safety took a back seat, but it’s time for a change,” the president said at a ceremony marking the closure of the country’s oldest power plant, Kori 1, in Busan. Greenpeace and other environmental groups welcomed Mr Moon’s announcement. Since the Kori 1 reactor went online in 1978, the resource-poor country has added 24 nuclear power plants to meet rising demand for electricity from rapid industrialisation and economic development. A third of electricity in South Korea was produced from nuclear power plants last year. South Korea has also exported nuclear-reactor technology. Former president Lee Myung Bak helped local companies win billions pounds of deals to build a nuclear reactor in the United Arab Emirates. But South Koreans’ enthusiasm for nuclear energy quickly waned following the 2011 Fukushima meltdowns in neighbouring Japan. To decommission Kori 1, South Korea plans to invest in developing its own decommissioning technology and experts in the area. Decommissioning will take at least 15 years and cost 643.7 billion won (£445 million). This 2012 video from Japan is called Photographing the Nuclear Disaster in Fukushima. A VIETNAMESE government decision to scrap plans to build two nuclear power plants received the backing of the National Assembly yesterday. Hanoi said that cheaper renewable energy was available and investment should be made in more urgent infrastructure needs. The assembly had approved plans in 2009 to build two nuclear power plants. Construction was initially scheduled to start in 2014 but was delayed several times. Building contracts had been awarded to Russian and Japanese companies. The two plants would have contributed about 5.7 per cent of Vietnam’s power output when completed in 2030, but that could be offset by other sources of energy, it added. State media has reported that the plants were not economically viable because of the availability of cheaper sources of power … and a doubling of the plant costs.